In November 2016, voters in nine states decided whether to legalize marijuana for medical or recreational use, according to a running tally by The Cannabist, a project of The Denver Post. Recreational use of the drug is already permitted in a handful of states, and can be prescribed by doctors in over half, though it remains banned under federal law. Reports on the issue suggest voters were concerned: does marijuana use affect crime rates? A growing body of research addresses the question, tackling arguments used often by opponents and advocates of marijuana liberalization. Opponents often claim that people who use marijuana are more likely to move on to harder drugs — the “gateway drug” theory — and that users of hard drugs engage in predatory crimes to feed their habits. Critics of legalization also argue that increasing accessibility means more youth will smoke or eat weed, that marijuana shops and growers are attractive targets for criminals, that marijuana use encourages alcohol abuse, and that stoned drivers are a public menace. On the flip side, advocates for legalization argue it will undercut the black market, which is associated with criminals and violent elements. Crime may fall as police resources are reallocated to other pressing issues, they argue. Researchers have found, moreover, that some people substitute marijuana for alcohol, which means they drink less. And legalization of marijuana may reduce racial disparity in drug arrests. Black men, according to federal data collated by the American Civil Liberties Union and widely cited by scholars, are almost four times more likely to be arrested for marijuana possession than whites, even though both groups use the drug at roughly the same rate. Most research on the link between marijuana and crime finds that medical marijuana laws (often abbreviated as MML) cause a general uptick in the use and availability of marijuana — beyond the patients who are prescribed the drug. “The legalization of marijuana for medicinal purposes approaches de facto legalization of marijuana for recreational purposes,” write D. Mark Anderson of Montana State University and Daniel I. Rees of the University of Colorado Denver in the Journal of Policy Analysis and Management. By examining pre- and post-legalization in these MML states, they can “make predictions about what will happen in” states that legalize marijuana for recreational use. Several studies have found reductions in crime after marijuana is legalized for medical use, demonstrating a relationship, but not necessarily causation. 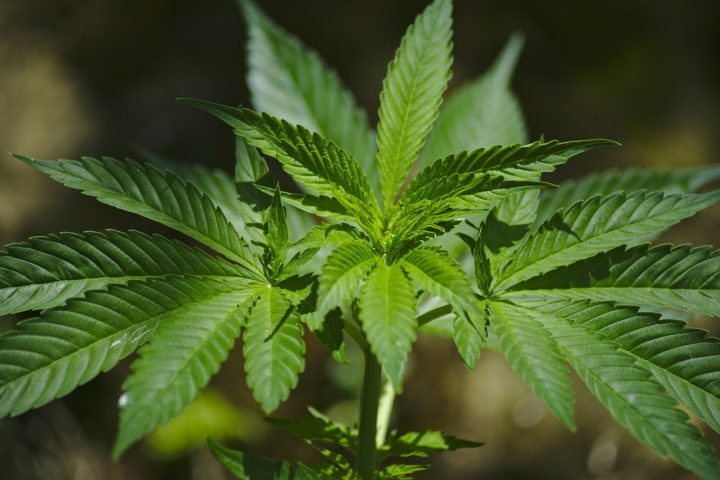 Showing a “clear connection between medicinal use and reductions in non-drug crime,” Arthur Huber III, Rebecca Newman and Daniel LaFave of Colby College link medical marijuana to a 4 percent to 12 percent reduction in property crimes such as theft and burglaries. Crime has fallen across the United States in recent years, but in states with MML it has fallen approximately 5 percent more. Contrariwise, Huber and his colleagues find that depenalization — lowering penalties and, thus, the risk of possession — is linked to an increase in such crimes by 6 percent to 11 percent. That effect is similar to the amount crime would rise during an uptick in unemployment of 2 percent to 3 percent. In widely cited research, Robert G. Morris of the University of Texas and colleagues see crime fall in every state that has introduced MML. Using FBI data on seven types of crime across states with and without MML, they dismiss concerns about rising crime. Moreover, contrary to concerns that marijuana dispensaries become magnets for crime, the shops may diminish crime in their immediate vicinity because of their heightened security, cameras and lights. Looking at crime data before and after the depenalization of marijuana in the United Kingdom in 2004, Nils Braakmann and Simon Jones of Newcastle University suggest most types of crime, risky behavior and violence fall. But they observe a 5 percent to 7 percent increase in property crimes among 15- to 17-year-olds. Katarina Guttmannova of the University of Washington and colleagues examined 15 studies on the relationship between alcohol and marijuana use. Their analysis indicates mixed results, suggesting both substitution — when marijuana is more readily available, people use it and drink less — and complementation — people drink more when they use marijuana. Substitution would have positive public health implications, assuming, as some researchers do, that alcohol is a more destructive drug with higher costs for society. Alcohol accounts for over 30 percent of motor-vehicle fatalities in the U.S. each year — almost 10,000 deaths — according to the U.S. Centers for Disease Control and Prevention. In their Journal of Policy Analysis and Management paper, Anderson and Rees describe the relative dangers of driving while intoxicated or stoned: “While driving under the influence of marijuana is associated with a twofold increase in the risk of being involved in a collision, driving with a blood alcohol concentration (BAC) of 0.08 or greater is associated with a 4- to 27-fold increase in this same risk.” The active ingredient in marijuana, tetrahydrocannabinol (THC), impairs driving ability, but users tend to overcompensate and drive slower, whereas alcohol consumers tend to drive faster and take more risks, they write. Huber and his colleagues at Colby College also chart a fall in DUIs in states with MML laws. A team of researchers at Stanford University is developing a “potalyzer” to detect THC molecules in drivers’ saliva. The portable test could produce results in three minutes, they reported in Analytical Chemistry in July 2016. There is growing evidence that as marijuana is legalized, more people use it. Legal medical marijuana increases both the supply of the drug as well as demand. Braakmann and Jones see a 4.6 percent increase in cannabis consumption among 15- to 17-year-olds after depenalization, which they suspect may be partially an increase in the number of first-time users. They do not see an increase among older groups. Relatedly, a 2014 paper in the American Journal of Public Health finds a negative relationship between marijuana and suicide. In states with MML, legalization is associated with a 10.8 percent reduction in the suicide rate of men between ages 20 and 39 — another indication of increased usage, and possibly of decreased alcohol consumption. Are teenagers who use pot more likely to begin using harder drugs like cocaine and heroin? Research is largely inconclusive and the issue is addressed in many of the studies listed above. A related question is how MML affect the use and abuse of opioids for pain. Writing in JAMA Internal Medicine, Marcus Bachhuber of the Philadelphia Veterans Affairs Medical Center and colleagues find “medical cannabis laws are associated with significantly lower state-level opioid overdose mortality rates.” Patients seem to be using these as substitutes, and marijuana is far less addictive and dangerous than drugs derived from the opium poppy. A 2016 study by Columbia University researchers confirmed those findings and observed that states with MML had fewer opioid-related car accidents. Significant research has shown that young black men are arrested at a much higher rate than white men for the same marijuana-related crimes. Economists Wesley Austin of the University of Louisiana and Rand W. Ressler of Georgia Southern University explore the relationship between marijuana crimes and arrest in a 2016 paper for Applied Economics Letters. They find arrest much more likely if the offender is poor and black, compared with perpetrators who are either poor or black or poor and a member of another race. A 2016 paper profiled by Journalist’s Resource finds the U.S. could reap up to $12 billion in new tax revenues by regulating recreational marijuana. It also finds that access to marijuana is associated with greater usage. The number of American cannabis users is rising. According to an August 2016 Gallup Poll, 13 percent of Americans say they use the drug, up from 7 percent in 2007. Slightly older data from the U.S. Department of Health and Human Services shows that over 22 million Americans aged 12 or older have used marijuana in the past month. That is 8.4 percent of the population. Bloomberg Businessweek estimates that edible weed may have made up half the $5.4 billion in legal marijuana sales in the U.S. in 2015. The National Institutes of Health (NIH) publishes research on the health impact of cannabis consumption. According to the Marijuana Policy Project, an advocacy group, there are over 2 million marijuana patients in the U.S.
CannabisWire.com and High Times magazine are among the news outlets that cover the growing legal marijuana business. Huber III, Arthur; Newman, Rebecca; LaFave, Daniel. The B.E. Journal of Economic Analysis & Policy, 2016. doi: 10.1515/bejeap-2015-0167. Braakmann, Nils; Jones, Simon. Social Science & Medicine, 2014. doi: 10.1016/j.socscimed.2014.06.003. Morris, Robert G.; et al. PLoS ONE, 2014. doi: 10.1371/journal.pone.0092816. Anderson, D. Mark; Rees, Daniel I. Journal of Policy Analysis and Management, 2013. doi: 10.1002/pam.21727. Summary: This literature review looks at the concerns of those opposing legalization. It concludes that legal recreational marijuana is a net benefit for society because it is associated with a reduction in alcohol-related traffic deaths and alcohol use more generally, and thus also a reduction in crime. The usage of marijuana will increase, though, the authors expect. Shepard, Edward M.; Blackley, Paul R. Journal of Drug Issues, 2016. doi:10.1177/0022042615623983. Katarina Guttmannova; et al. Alcoholism: Clinical and Experimental Research, 2015. doi: 10.1111/acer.12942. Freisthler, Bridget; et al. Addiction, 2016. doi: 10.1111/add.13301. Bachhuber, Marcus A.; et al. JAMA Internal Medicine, 2014. doi: 10.1001/jamainternmed.2014.4005. Anderson, D. Mark; Hansen, Benjamin; Rees, Daniel I. The Journal of Law & Economics, 2013. doi: 10.1086/668812. Anderson, D. Mark; Rees, Daniel I.; Sabia, Joseph J. American Journal of Public Health, 2014. doi: 10.2105/AJPH.2013.301612. Austin, Wesley; Ressler, Rand W. Applied Economics Letters, 2016. doi: 10.1080/13504851.2016.1178838. Baumgartner, Frank R.; et al. Politics, Groups, and Identities, 2016. doi: 10.1080/21565503.2016.1160413.